Dr. Debra Hutton is a fully licensed psychologist in the State of Michigan. 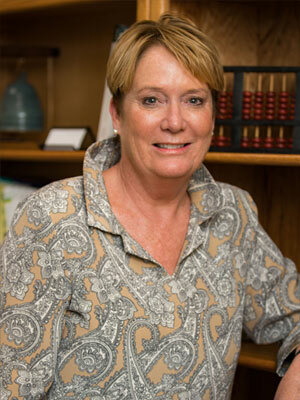 She has over 30 years of clinical experience working with children, adolescents, adults, seniors, couples and families. Dr. Hutton completed her graduate training at Case Western Reserve University in Cleveland, OH. Her psychology internship at the Cleveland VA provided concentrations in addiction, chronic illness and PTSD. In her post-doctoral training and early work experience at the Hannah Perkins School and Child Development Center, Dr. Hutton specialized in helping children, adolescents and families exposed to internal and external stressors. Dr. Hutton previously served as the Director of Counseling and Disability Services at the University of Michigan-Dearborn and as the clinical director of a non-profit mental health clinic in Jackson, Ml. In both capacities, she worked with adolescents and adults while providing supervision to masters’ level psychologists and psychology students. Her work centered on constructing and executing evidence-based treatment programs for clients presenting with depression, anxiety, adjustment disorders and borderline personality disorder. Additionally, she conducted and supervised psychological testing for University of Michigan-Dearborn Disability Services to determine students’ eligibility for academic accommodations. She has presented parenting, marriage and work-life balance workshops to employees of TRW and Kimberly-Clark and taught the psychodynamic psychotherapy module for the Therapeutic Change course at Case Western Reserve University. Other workshops and groups have covered the topics of eating disorders, depression and mindfulness. Dr. Hutton’s research has focused on self-perception and has been published in the Personality and Social Psychology Bulletin, Basic and Applied Social Psychology, and Journal of Personality among others. Her research has been presented at the Midwestern Psychological Association and Eastern Psychological Association. Dr. Hutton provides individual and couple’s counseling, as well as psychological assessments. She works individually with adolescents, adults and seniors who experience anxiety, depression, emotional dysregulation and/or life changing events. Her couple’s counseling is primarily informed by the research of Dr. John Gottman, while recognizing the work of Dr. de Marneffe who posits that marital stress is an inevitable and predictable stage of life growth. As beginning therapy can be difficult, Dr. Hutton approaches the process in an accepting, non-judgmental manner. She welcomes clients from all backgrounds and sexual orientations.